The British Broadcasting Corporation (BBC) has digitised their perennial publication, the Radio Times from 1923 to 2009. It is now online and searchable which means you can find out what was on TV when you were born (for me, it was the Woodentops, Gardening Club and Dr. Kildare). But we can also have a look at what was being broadcast, first on the wireless, and then on TV regarding the Loch Ness Monster over the years. However, it seems the Beeb got off to a pretty unserious start in their decades long coverage of the mystery. It was 8pm on the 27th February 1934 and time for "A Recital of Gramophone Records" with a band recital of a song called "I'm the Monster of Loch Ness". I have heard this song before, its not likely to top the charts in any year, let alone 1934. You can view the search of the archive for the Loch Ness Monster here. Notable items are Lt. Commander Rupert T. Gould and his radio talks in the 1930s, which included his continual opponent E. G. Boulanger, director of the Aquarium of the London Zoo. There is the documentary, "The Legend of the Loch", from 15th May 1958, hosted by well known BBC presenter, Raymond Baxter. We also had Maurice Burton (author of the sceptical "The Elusive Monster") facing up to LNIB man, Richard Fitter, in "The Naturalist" on the 2nd May 1965. 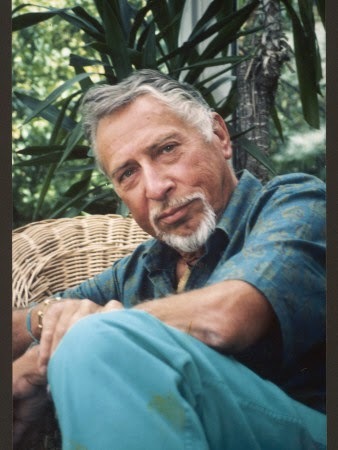 Famous cryptozoologist, Bernard Heuvalmans (below), made an appearance on the 9th December 1966, while Robin McEwen defended the Monster against Anthony Lincoln, Q.C. in a court room style debate in July 1968. F. W. Holiday gave a talk to "Woman's Hour" on Radio 2 on the 16th April 1969. Presumably in the aftermath of the publication of his book, "The Great Orm of Loch Ness". 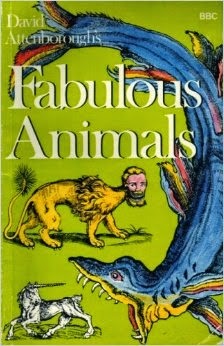 There is also the children's programme "Fabulous Animals", presented by David Attenborough. I remember watching this as a youngster, sitting enthralled by tales of strange beasts from the past and present. The book of the series (below) had a small section on Nessie. Other famous Nessie men made their appearances, such as Sir Peter Scott in July 1977 as Monster Fever took off again in the late 70s. 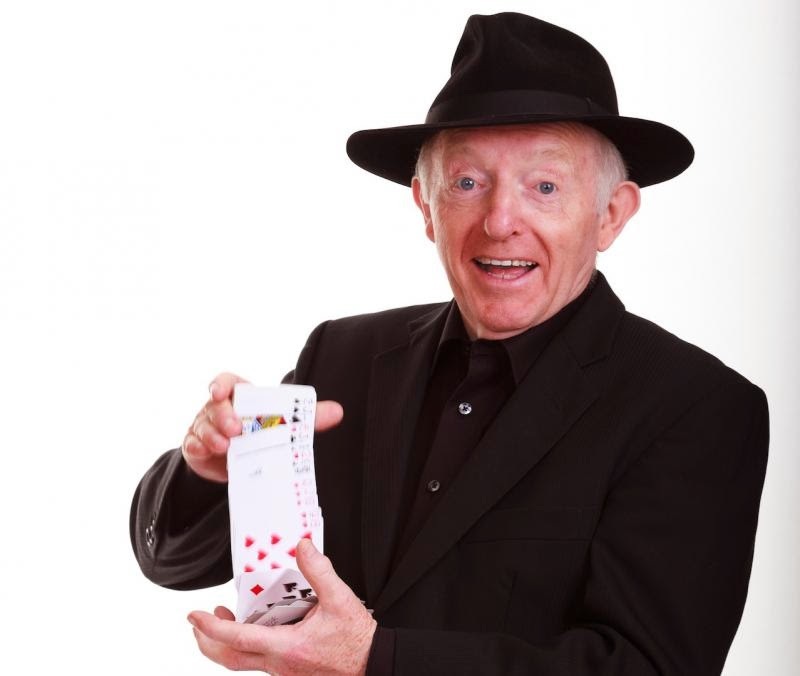 As we move into the 1980s, the popular cartoon series "The Family Ness" dominates, while famous magician, Paul Daniels, goes to Loch Ness to hunt the beast in 1985. By the time we get to the 1990s, our own Steve Feltham arrives on the scene when the BBC televised "Video Diaries" on the 1st August 1992, featuring Steve leaving the Rat Race to take up residence at Loch Ness. That episode can be viewed here. However, there is not much in the way of serious programs throughout the 80s and 90s, reflecting the increasing scepticism towards the Loch Ness Monster. Entertainment-wise, there is the Nessie like episode of the X-Files entitled "Quagmire" (below). Tonight's programme attempts to verify claims that giant eels - more than 20 feet in length - exist in Loch Ness, and meets some of the anglers who go to great lengths to land a monster eel. I believe this ended up as a chapter in the equivalent book. I wonder what strength of line they recommended? 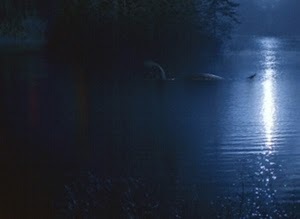 On the back of the popularity of the "X Files", a series on cryptids called "The X Creatures" was produced by the BBC in 1998 and Nessie was the subject on the 9th September. Though some of these episodes have appeared on YouTube, I have not located that one. Perhaps some intrepid Internet explorer could oblige here. 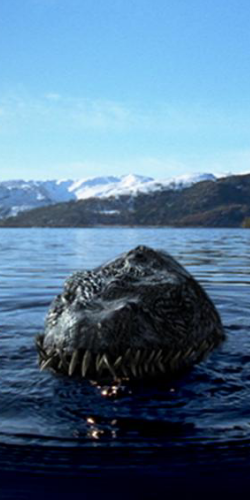 Another documentary I would like to see was Steve Leonard's "Search for the Loch Ness Monster" televised on the 27th July 2003 which came complete with a model plesiosaur head (below). I believe this was the program with the sonar hunt that claimed to have disproved Nessie after picking up no sonar hits on a loch wide scan. And, finally, we have Barnaby Bear of the BBC Children's channel, CBeebies, in search of the monster here. Having said all this, the one feature that is missing is a link to click through to the video or audio stream for the original program. 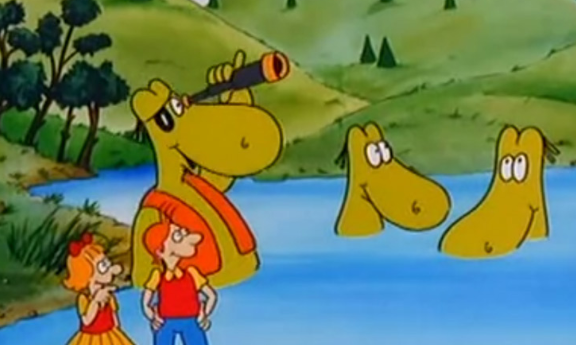 If that was there, I would look forward to hours of great Nessie entertainment. But, of course, I am not expecting this as some of the original programs would have been long erased, lost or degraded. It doesn't help that the BBC had a policy of mass recycling of video tapes over the 1960s and 1970s; but economics trumped heritage. Some items will still be in the BBC archives, some may even be in private hands. Either way, it won't be easy to see them. The BBC tends to only put out past productions if they see a profit in it. That means popular serials and films and not the Loch Ness Monster, which is a hotch pot of occasional documentaries and features within other programs.